Jesper Sivebaek, associate professor at The Royal Danish Academy of Music goes through the Allegro Moderato from Invocacion y Danza (Hommage a Manuel de Falla) Revision Alirio Diaz composed by Joaquin Rodrigo. Jesper Sivebæk (guitar) trained at the West Jutland Academy of Music (today The Academy of Music and Dramatic Arts, Southern Denmark) with associate professor Jørgen Bjørslev, and graduated from the soloist class of the Malmö Academy of Music under Professor Per-Olof Johnsson. Jesper Sivebæk has extensive concert engagements as a soloist and chamber musician and is co-founder of the Scandinavian Guitar Duo, which won the Danish Broadcasting Association’s Chamber Music Competition in 1993. 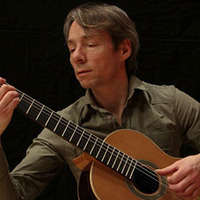 Jesper Sivebæk has played first performances of Danish guitar concertos by Karl Aage Rasmussen, Lars Heegård, Ulrik Neumann, Anders Koppel and Poul Ruders. He has won prizes at international solo guitar competitions in Spain, France and Italy. Since 2007, Jesper Sivebæk has been an associate professor at the Royal Danish Academy of Music in Copenhagen. He has been a visiting professor at the Royal Academy of Music in London, the Malmö Academy of Music, the Academy of Music in Tallinn and the Oberlin Conservatory of Music in the USA. For Dacapo Jesper Sivebæk has recorded a CD with guitar works by Poul Ruders.